Roller Shutter Doors New York City: What New Doors Do We Have? Are you looking for brand new roller shutter doors for your facility? At United Steel Products, we can offer you the assistance you need to find the right doors for your facility. Do you need durable? Yes! Do you want to work with a reliable business? Of course! Are you ready to find a roller shutter door that will keep your facility protected from outside elements? Most definitely! Whether you’re looking to replace a door you already have or you’re a new business that needs better security, United Steel Products can be your answer. We’ll work with you to find the best roller shutter doors for your facility. From high speed to fire doors, we have you covered. If you’re interested in purchasing a roller shutter door from us, then contact United Steel Products today. So what brand new high speed doors can we offer you? 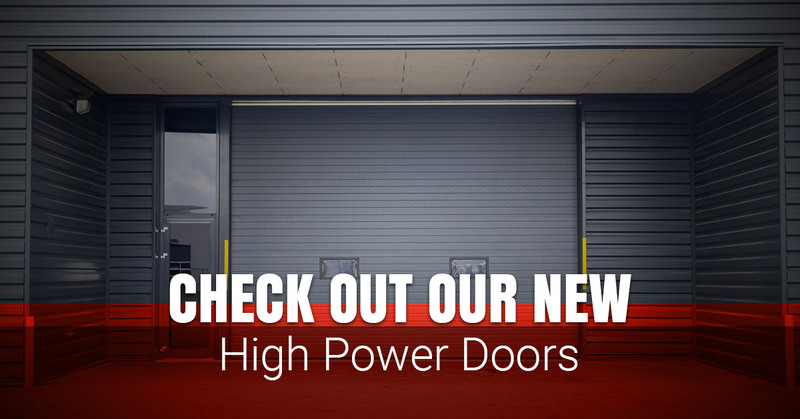 We’re excited to announce that we have six high speed doors that you can install in your commercial business. Each of these high speed doors is the best in the industry and will provide you with security, decrease of energy costs, and increase productivity. Durable, safe, and reliable, you won’t have to worry about one of our high speed doors going off the rails. Find out how you can keep your facility safe when you check out these roller shutter doors that go above and beyond below. These reliable cold storage high speed doors will conserve energy even if they open and close a thousand times a day. They’ll keep your items cold, safe, and at the right temperature. You don’t have to worry about your items becoming too warm because this cold storage is perfect for high-traffic areas. It will help to increase the productivity as well as create a thermal barrier due to the tight seal of the refrigerated trucks. The HS8010 is a high speed door created for exterior and interior openings in facilities that are medium sized. These doors are designed to withstand heavy duty operations. With the ability to protect against dust, dirt, and humidity, this door will offer maximum safety, especially because of the tight seal. You won’t go wrong when you choose the HS8010 if your facility wants to improve the traffic close while keeping a consistent pace. The Ultratough is a high speed door that’s made from rubber to protect the operations from high wind loads and other contaminants. The Ultratough will reduce the operating cost and increase the safety as well as the overall productivity. Due to the impact-proof rubber curtain, you won’t have to worry about even the harshest conditions or collision impacts. These interior roll up high speed doors will offer you reliability that you may be missing with your current model. The RR200 is a safe solution for the interior of establishments. They are the ideal solution to separate areas in your facility while increasing the efficiency within it. The interior high speed doors are specifically designed for environments such as cold storage to cleanrooms for general manufacturing duties. Additionally, these high speed doors resist damage and will still operate if there is an accidental collision. The RR300 is a high speed door that will keep out grime, dust, dirt, and humidity. The RR300 is a great door for cleanrooms because it minimizes the contamination risks and is sure to meet the standards for controlling the hygienics in a room. This door won’t compromise the product quality nor the worker safety. Lastly, we have the RR300 Interior, which provides reliable and safe solutions for the inside of a facility. Similar to the RR300, the interior version is great for environments that are cold storage to cleaning rooms or protecting special equipment. If you’re looking for a door that’s self-repairing and has a safety light curtain, then this one is perfect. Are you ready to keep your facility safe? Contact us today and we’ll get started!